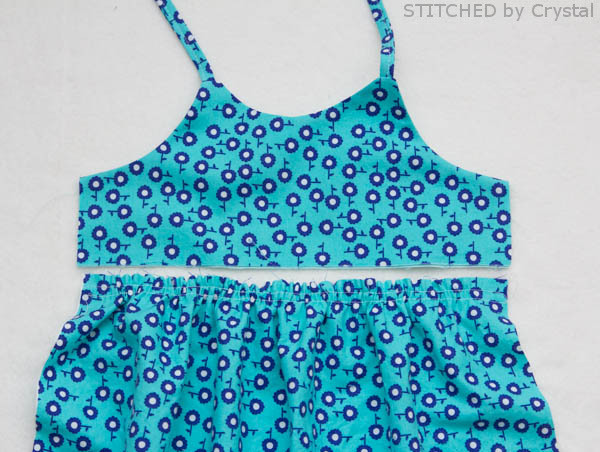 I am so excited to participate in Melly Sews 30 Days of Sundresses! 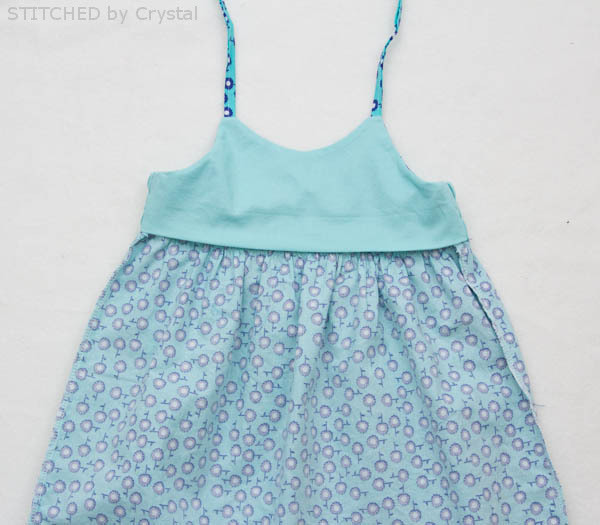 For the series, I decided to sew a girls sundress and came up with a really simple little dress. 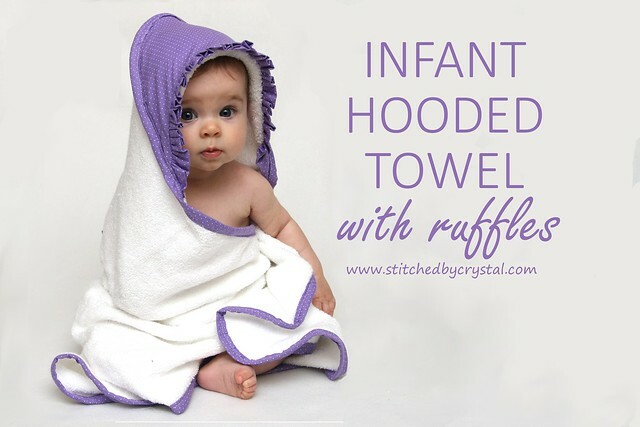 And I have a free pattern in sizes 2-6 to share with you! 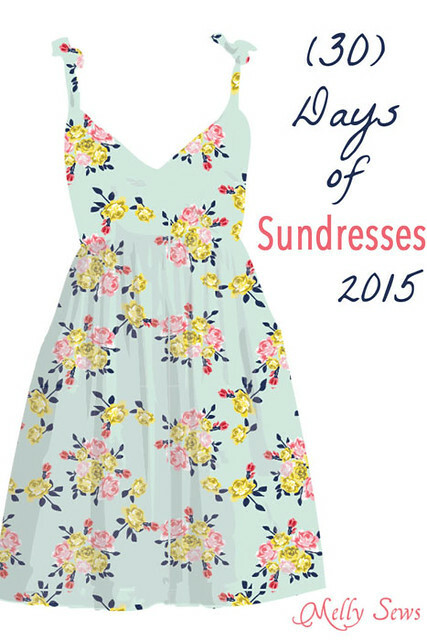 Curious about the 30 days of Sundresses? 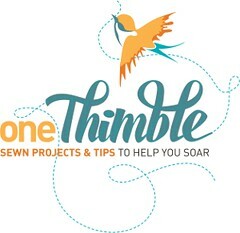 Every year, Melissa, of Melly Sews, hosts this incredible series for the entire month of June. 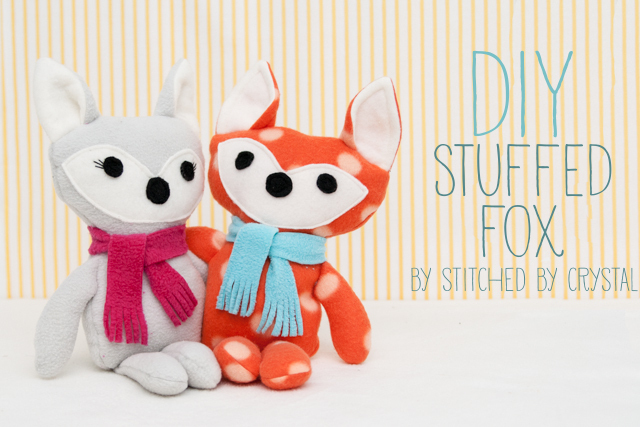 It is 30 days of free sundress patterns and tutorials for both girls and women, 30 DAYS! 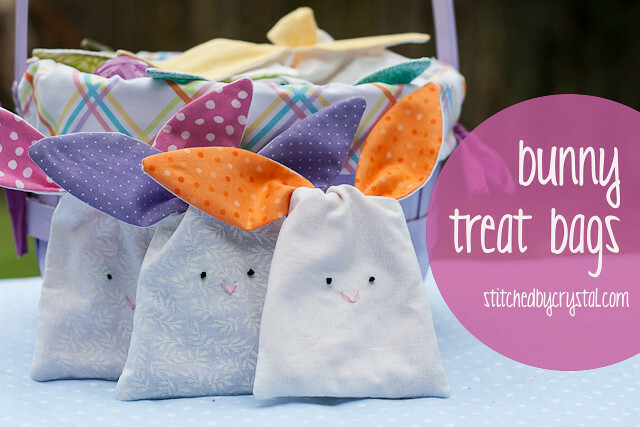 She also has some great giveaways going on all month, this week she has a mystery box full of sewing goodies up for grabs, make sure you go enter! 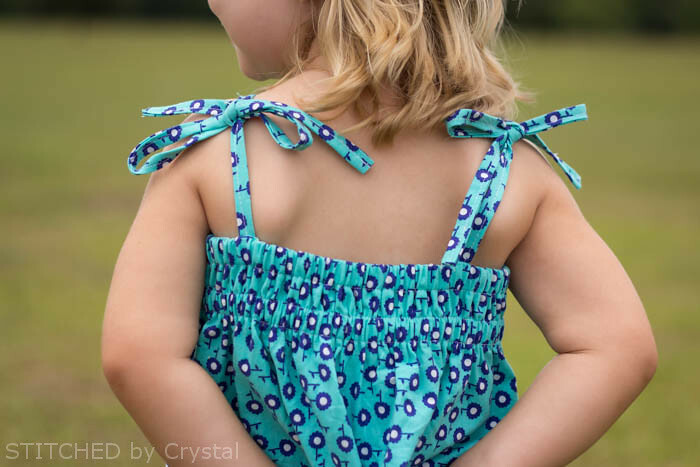 This little dress I am sharing is a really quick, easy sew. It features a slightly curved V neckline in the front, and an elastic back with straps that tie at the shoulders. The skirt is not too full and it hits right about the knee. 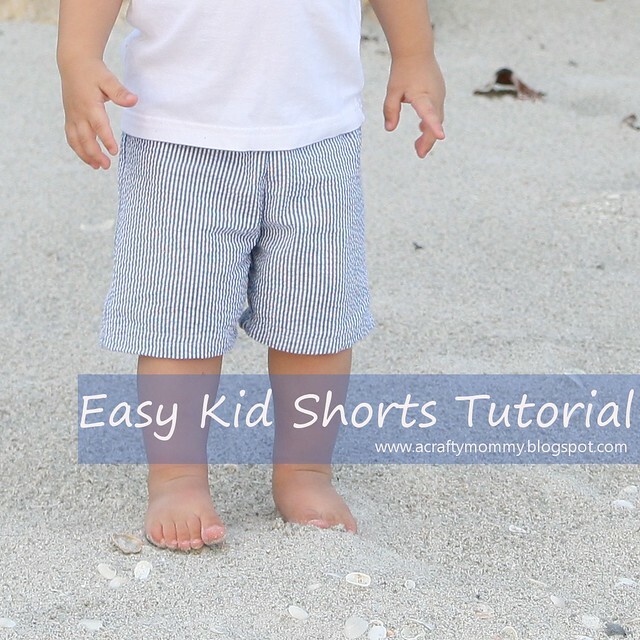 It is easy to throw on and perfect for summer play! 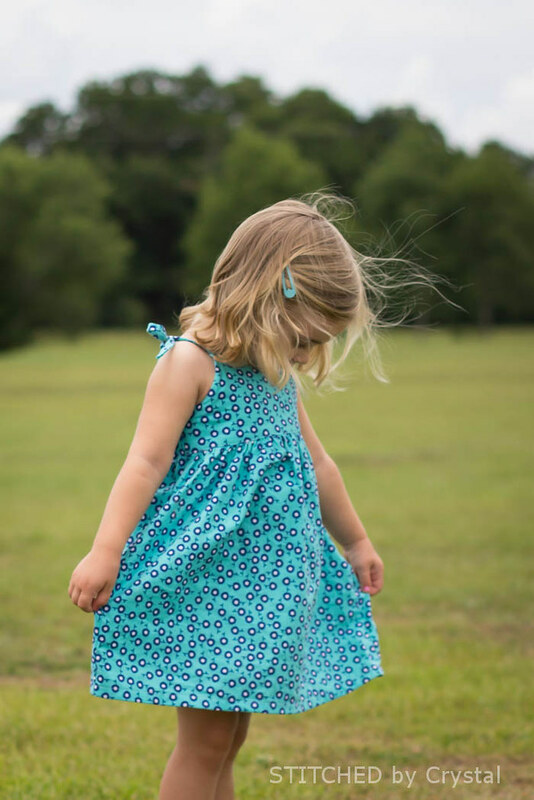 This dress is a really quick sew and takes just over 1 yard of fabric! 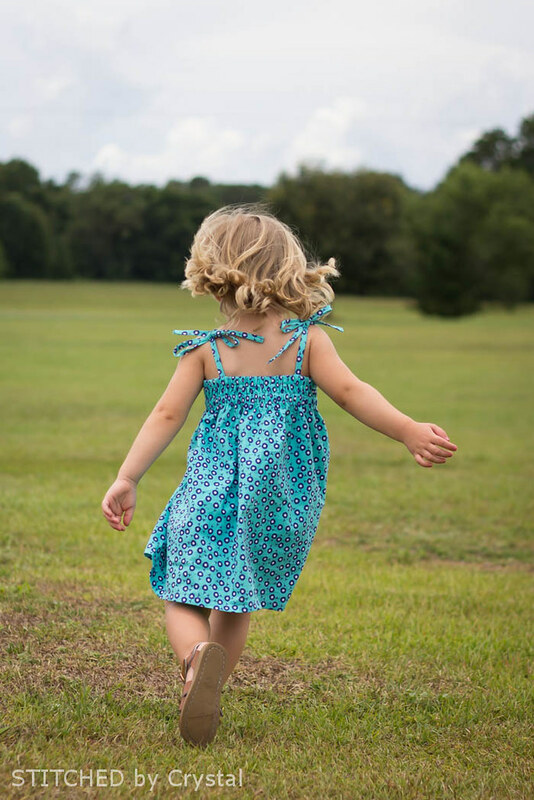 In just a few days, you could have a whole wardrobe of summer dresses for your girl! 1.25 yard of fabric. 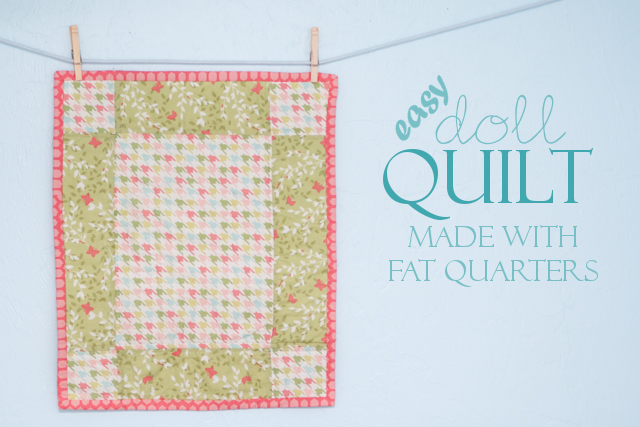 Anything lightweight works, quilting cottons are great...or try something like voile, seersucker, lined eyelet, or lawn. 1 yard of 1/2" elastic. 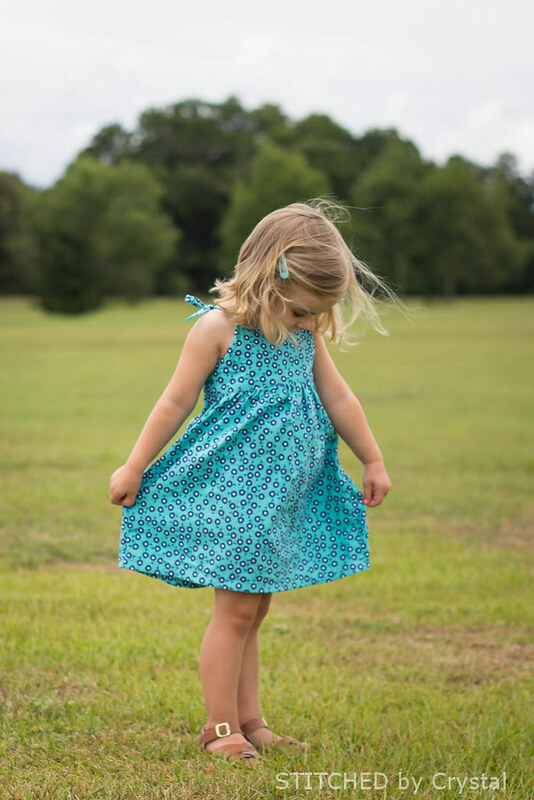 The dress pattern that you can download in sizes 2-6 HERE. 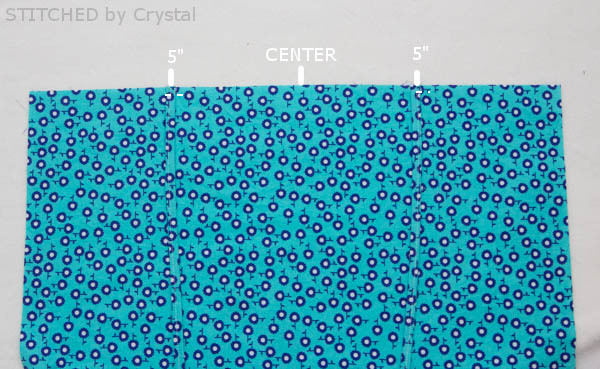 Use the size chart below to determine which size to sew. 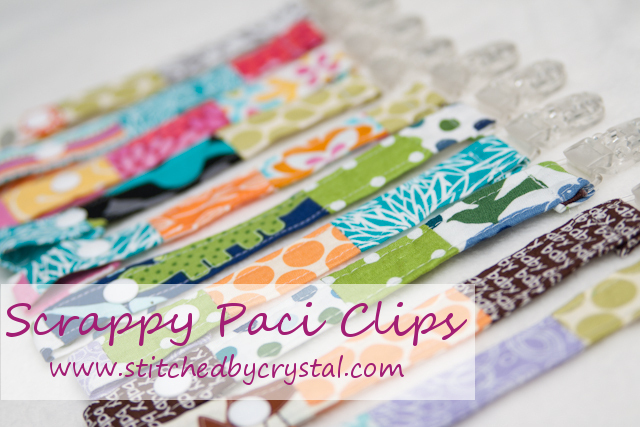 Start by sewing your straps. First, fold one end down 1/2" towards the wrong side. Next fold the strap in half wrong sides together and press. 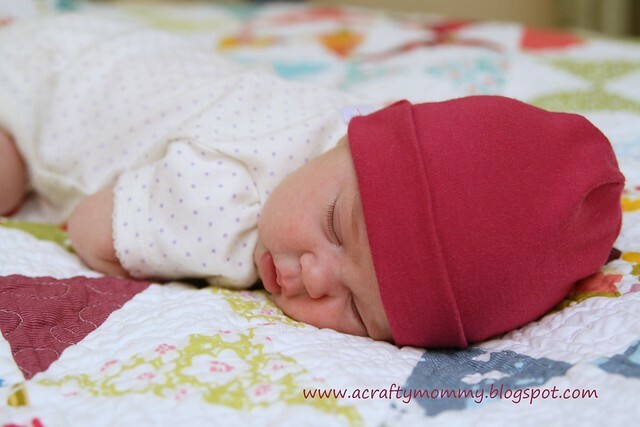 Unfold and then fold the raw edges into the crease. 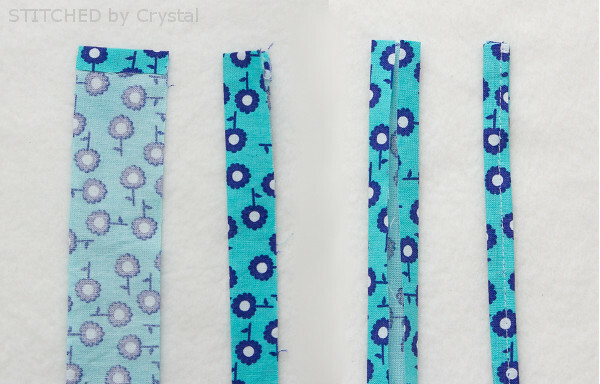 Refold on the center crease and sew along the edge to create your strap. Repeat with the other 3 straps. Place your two back straps aside (the longer ones). 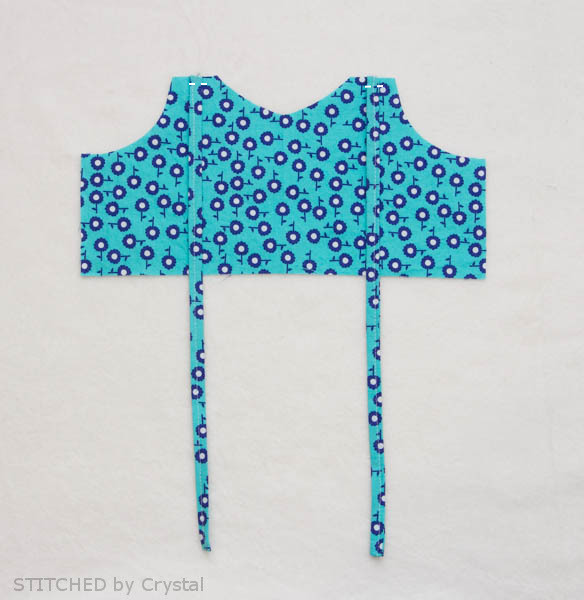 Pin your front straps in place on the right side of your bodice between the strap markings on the pattern piece. Baste the straps in place. 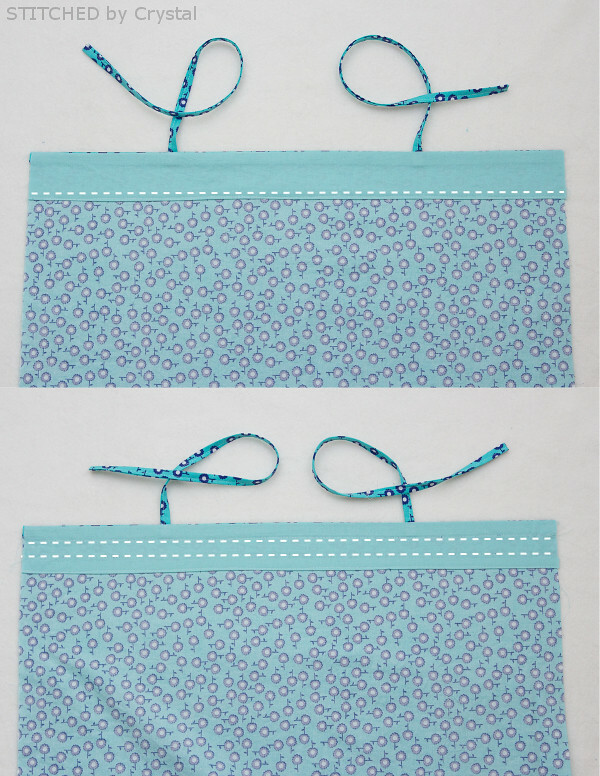 Place your lining on top of your main bodice (right sides together), the straps should be sandwiched in between. 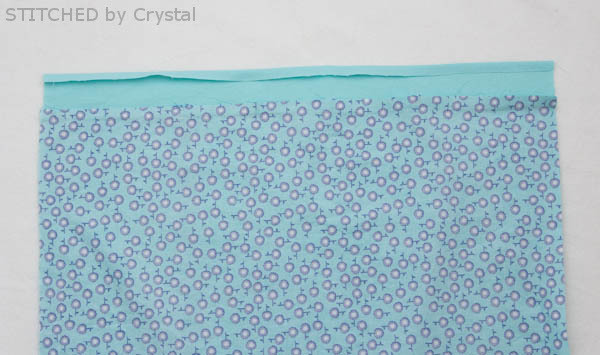 Sew along the top with a 1/2" seam allowance as shown below. Clip the corners and notch the curves. Turn the bodice right sides out and press. 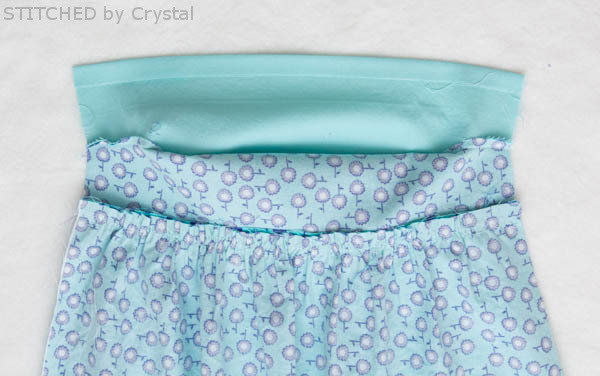 Gather the top edge of your front skirt piece do it is the same width as your bodice. 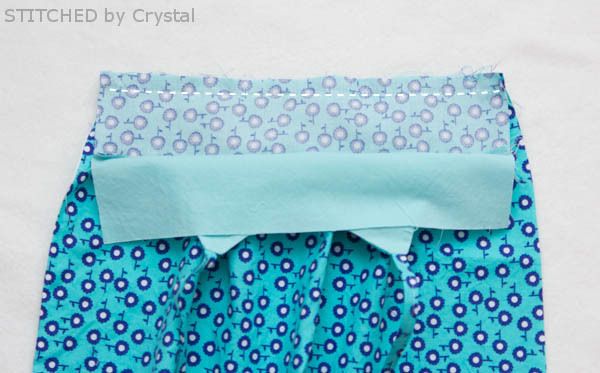 Move your lining out of the way and and sew the bottom of the main bodice to the gathered skirt, right sides together, with a 1/2" seam allowance. Press the seam towards the bodice. Fold the bottom of the bodice lining up 1/2" towards the wrong side. Set this dress front aside. Find the center of your skirt back. Place your back straps 5" from the center on each side. Baste the straps in place on the right side of the fabric. 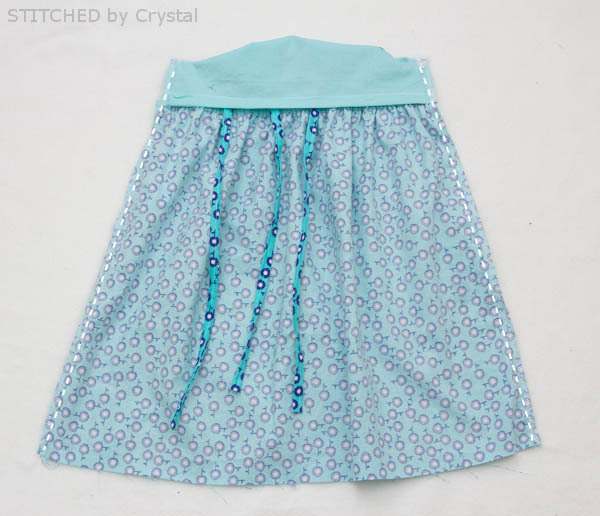 Place the back lining along top of the skirt back, right sides together. 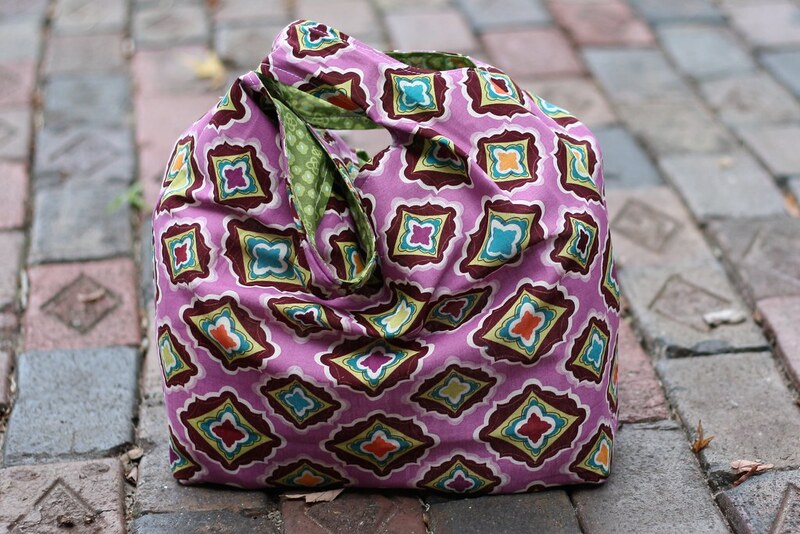 Sew with a 1/2" seam allowance. Press the lining up and press the bottom of the lining 1/2" towards the wrong side. 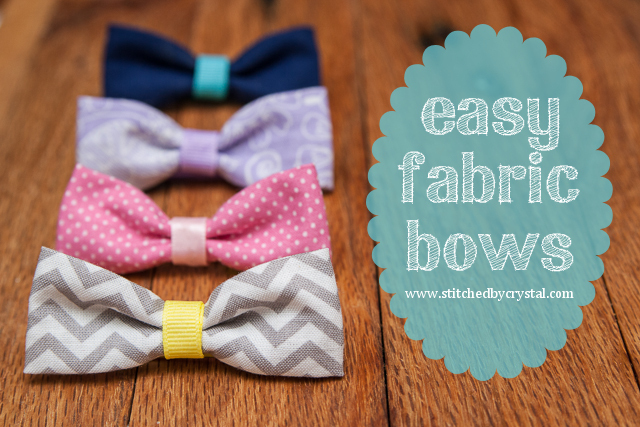 Press the lining down and sew along the folded edge. 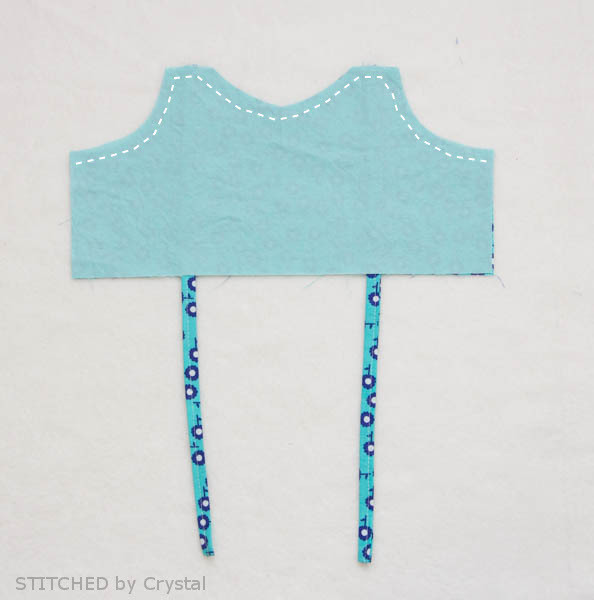 Then create 2 channels for your elastic by sewing 5/8" from the line you just sewed and 5/8" from the top edge. 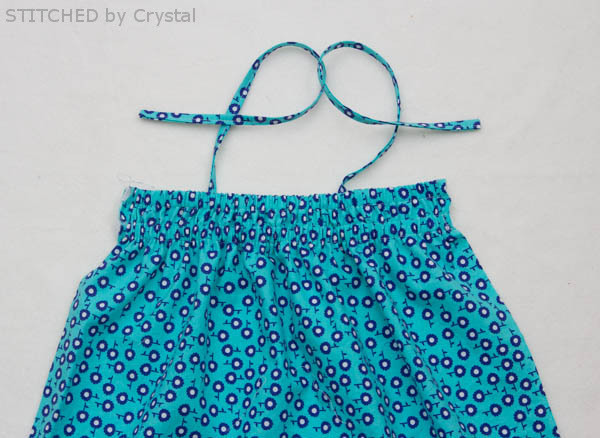 Using a safety pin, guide your elastic through your casings, sewing the ends in place on both sides. 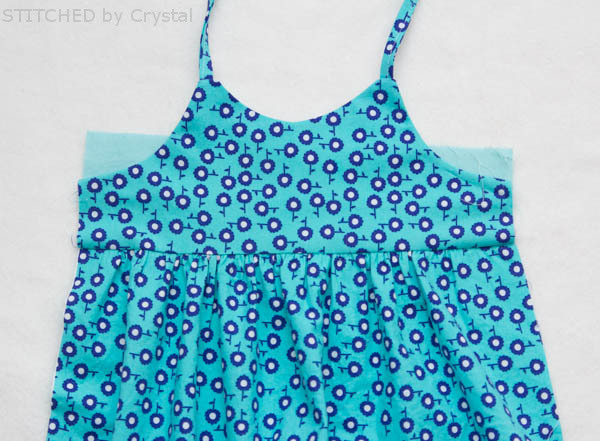 Lift your front bodice lining out of the way and pin your dress front and back together. 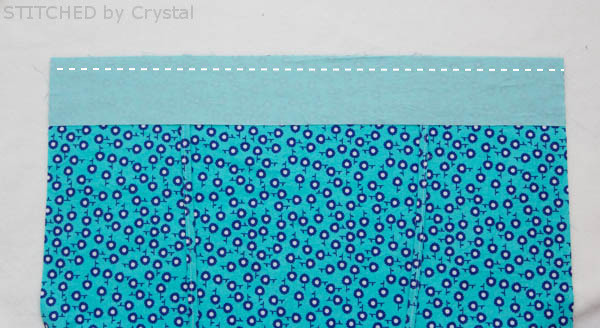 The top of the dress back should line up with the top of the main bodice front and the bottom of the back lining should ling up with the front dress seam. The skirt bottoms should line up. Fold the front bodice lining down over the top of the dress back, keeping the lining bottom folded up. 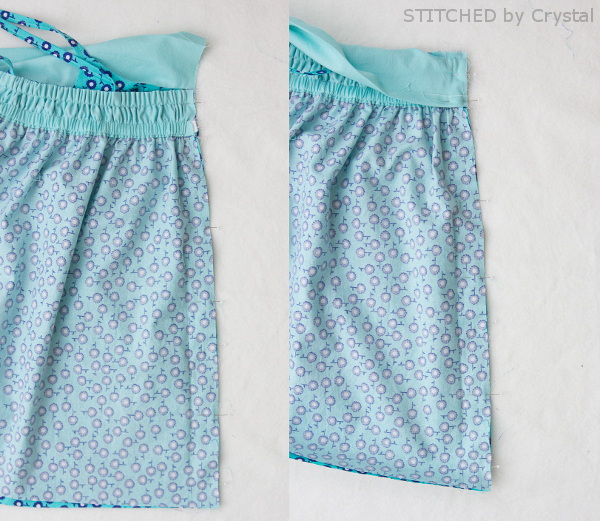 Sew the side together with a 1/2" seam allowance, finish the seam with a serger or zig zag stitch. Repeat the previous step to sew the other side of the dress. Flip the front bodice right side out. Stitch the front lining down either by hand or machine. Hem the dress with a 1" hem allowance. Woohoo! Your dress is done! Thanks for stopping by! 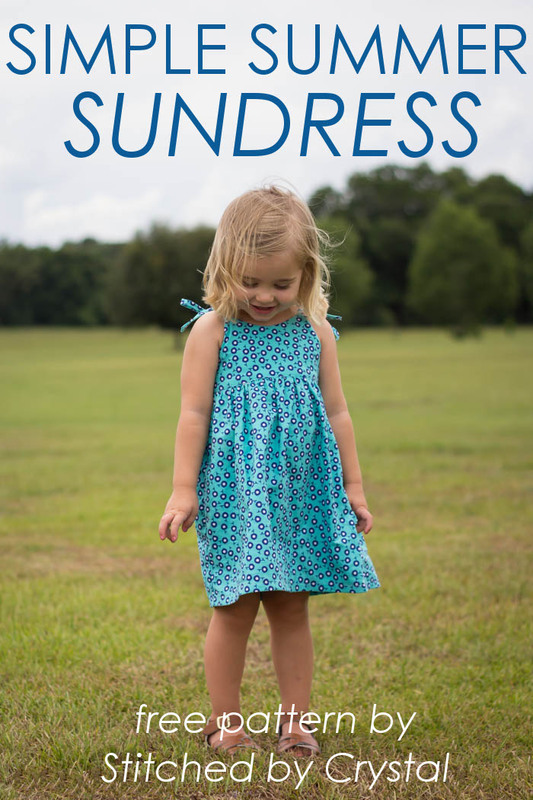 And don't forget to swing by Melly Sews to enter the giveaway and check all the great stuff going on for 30 days of sundresses! 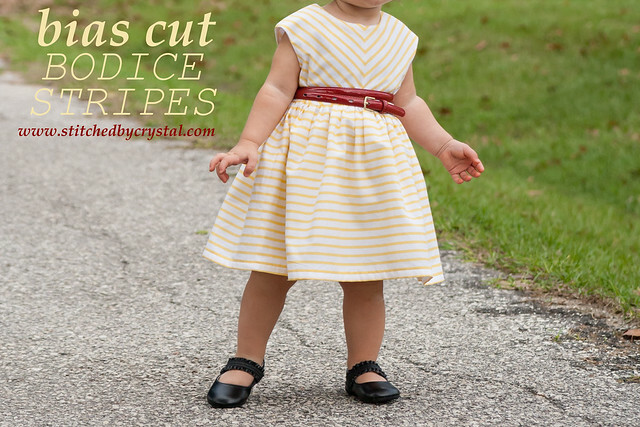 I love sewing easy summer dresses for little girls and this one is so sweet! 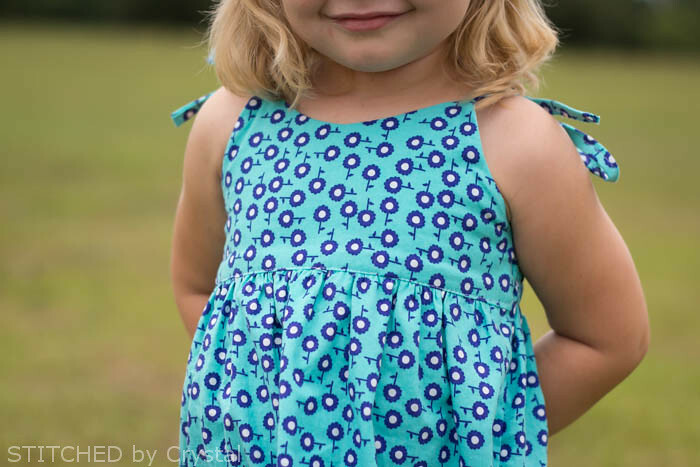 It's got the perfect bodice for a cute applique, too. Thank you! Very nice and easy to follow tutorial. 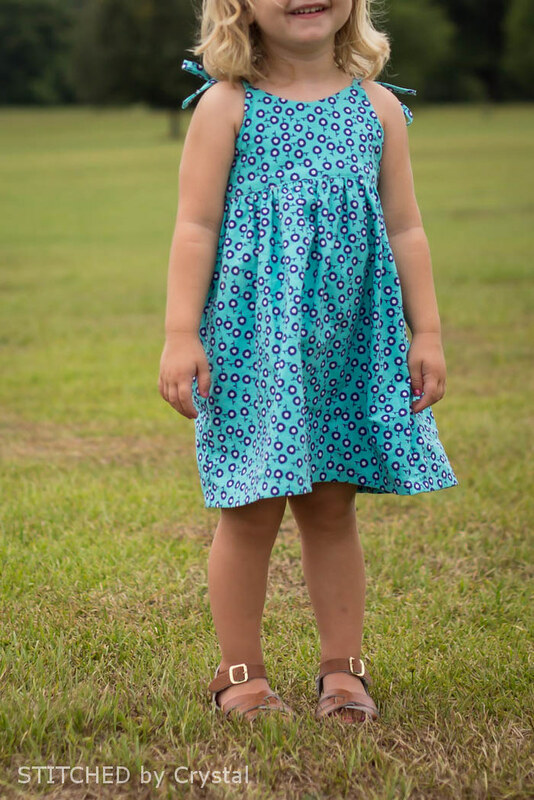 I made a dress following your pattern (https://aaseevana.wordpress.com/2015/09/18/summer-dress/). Thank you very much :-). Merci pour ce joli modèle!! très agréable et simple à faire grâce à vos explications et vos photos. Just curious, but couldnt you use elastic thread instead of elastic and casings?